How do I display a confirmation message after a payer checks out? 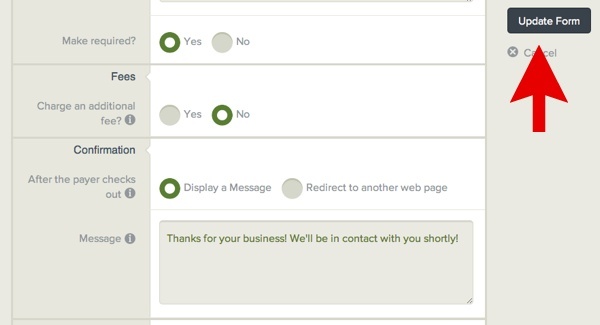 2) Navigate to the Confirmation Action section and choose "Display a Message"
3) Enter your confirmation message. Keep in mind that we automatically display the checkout amount and a header message that reads "Approved."